The Office of Children’s Issues of the U.S. State Department’s Bureau of Consular Affairs, has recently released the annual report on Hague Convention compliance. The report details various issues of non-compliance with member countries. It places countries under two categories; “Not Compliant” and “Demonstrating Patterns of Noncompliance,” with the former category signaling more serious compliance problems. 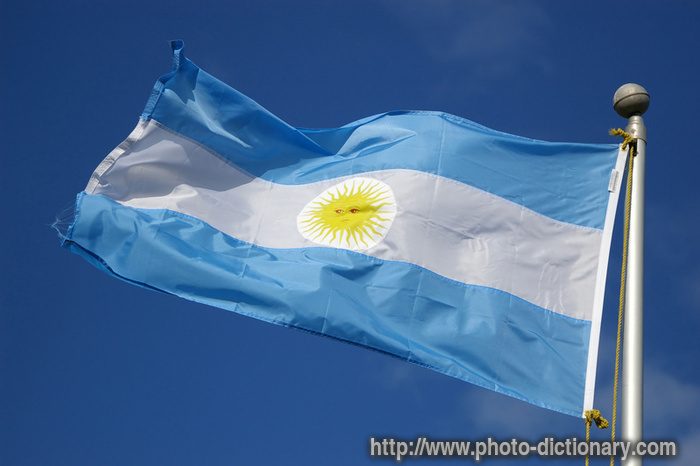 The 2011 report succinctly stated that Argentina is a country having “enforcement concerns.” This year, Argentina has been classified “Not Compliant.” The text of the report follows here, as well as some case summaries demonstrating the reason(s) why Argentina has been categorized as noncompliant. -Argentina demonstrated patterns of non-compliance in judicial performance. The USCA is not aware of any successfully enforced order for return from Argentina to the United States since 2006. In 2011, the USCA continued to observe significant delays in the execution and enforcement of return orders under the Convention. In one longstanding case, the Supreme Court upheld an order for return in December 2010, but has stayed enforcement of the order pending the left-behind parent’s fulfillment of several undertakings regarding the taking parent’s immigration status and financial requests. These particular undertakings go well beyond the scope of the Convention. -The USCA and the Argentine Central Authority (ACA) maintain an excellent working relationship. The ACA has been extremely attentive and very responsive to USCA inquiries, and provides prompt status updates on cases. However, the USCA has concerns regarding the working relationship between the ACA and the Departamento de Cooperación Internacional (General Prosecutor’s Office, or GPO), which assigns public defenders to left-behind parents in need of pro-bono legal assistance. The USCA noted the ACA had great difficulty contacting and communicating with the GPO during the reporting period, particularly with offices outside Buenos Aires. Public defenders in two cases were not responsive to the ACA, USCA, U.S. Embassy, or to left-behind parents’ inquiries, which resulted in excessive delays in scheduling Hague hearings and left-behind parents unable to communicate with their legal counsel. One of these cases, filed in 2009, has not yet had a Convention hearing after more than two years. No hearing on the Convention application has been scheduled. In December 2010, the ACA informed the USCA that the LBP’s attorney was no longer handling the case and the court assigned two public defenders in February 2011. For nine months the public defenders did not respond to communication from the ACA, USCA, the U.S. Embassy, or the LBP. In October 2011, the court appointed another public defender. In November 2011, the USCA convened a conference call with the LBP and public defender. The public defender is working with the court to schedule the first hearing in the Convention proceeding. The USCA and U.S. Embassy Buenos Aires have regularly requested updates from the ACA on the progress of setting a Hague hearing date. The court ordered the child’s return under the Convention in May 2010. The TP filed a complaint against the court, and also filed an appeal of the Convention return order. On October 28, 2010, the appellate court decided not to hear the appeal of the return order until TP’s previous complaint was heard. Both the complaint and appeal are still pending the appellate court’s decision. The LBP’s attorney filed motions asking the court to address the appeal urgently and the ACA has reminded the court of the importance of reaching a prompt decision under the Convention. The USCA and U.S. Embassy Buenos Aires have regularly requested updates from the ACA on court proceedings. The court ordered the child’s return in November 2009. The TP appealed. In May 2010, the appellate court rejected the TP’s appeal and affirmed the ordered return of the child to the United States. In August 2010, the TP filed an “extraordinary appeal” with the Supreme Court of Argentina, which dismissed the appeal and ordered the lower court to execute the return order. In April 2011, the Argentina’s Ministry of Interior denied the TP’s request for asylum because she is an Argentine citizen and thus had no basis for seeking asylum. In November 2011, the court stayed the execution of the return order until undertakings requested by the TP are met, which require that the United States grant the TP legal permanent residency and that the LBP provide financial support and health care to the TP. The USCA and U.S. Embassy Buenos Aires have regularly requested updates from the ACA on court proceedings.